An excellent way to carry art with you. This piece features a collage of mine of a mischievous Absinthe fairy. 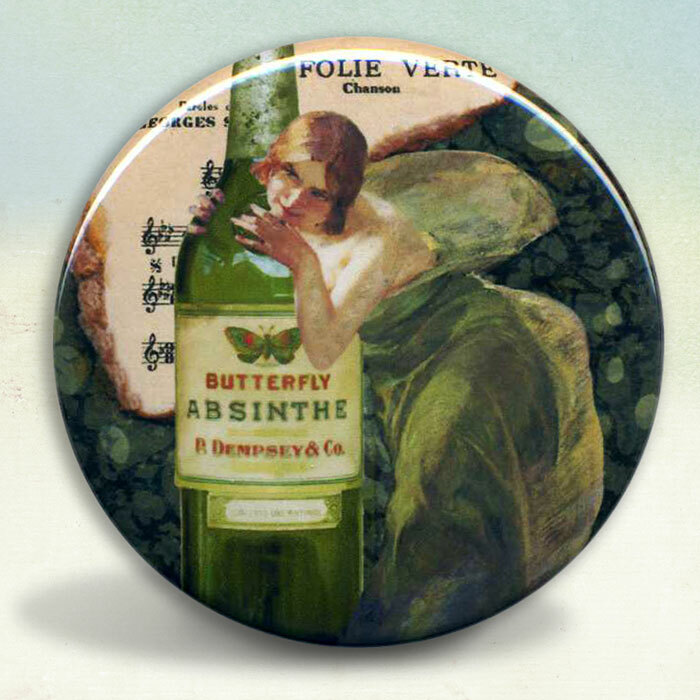 The nickname given to absinthe, La Fee Verte (The Green Fairy), comes from the “love affair” many drinkers had with absinthe, granting the drink the status of a muse.